I published this article in the Journal of Slavic Military Studies back in 2002: it is a comparative discussion of the relationship of the Serbs and the Croats to the Partisan movement, with some reference to the other Yugoslav nationalities as well. My knowledge and understanding of the question have, of course, advanced since then, but my conclusions have not significantly changed. The article has now been republished by Balkan Witness. The Titoist regime in Yugoslavia encouraged the belief that all Yugoslavs participated in an equal manner and to an equal degree in the Partisan movement and that they did so on a homogenous all-Yugoslav basis. Since the late 1980s this Titoist interpretation has been challenged by Serb and Croat nationalists seeking to expropriate the legacy of the Partisan movement for their respective national traditions while condemning the Communist ‘betrayal’ of their respective national interests. Although this involves the substitution of new nationalist historical myths for the older Titoist myth, the process has nevertheless revitalized a previously moribund historiography, opening up issues that were once ignored or taboo. The three conflicting claims – that the Partisans were a Serb movement; that they were a Croat movement; and that they were a genuinely multinational all-Yugoslav movement – paradoxically each holds a kernel of truth. The Partisan movement was a genuinely multinational movement but the roles played in it by the various Yugoslav nationalities were not equivalent. Contemporary Serb and Croat nationalists have borrowed aspects of the Partisan legacy that support the view that the movement was ‘theirs’ while treating its ‘un-Serb’ or ‘un-Croat’ aspects as evidence that ‘their’ movement was hijacked or betrayed by the other. The break-up of Yugoslavia has generated an enormous literature – much of it poor, some of it acceptable and some of it excellent. There are several decent introductory accounts of the break-up that competently summarise familiar information. There are some very good studies of Slobodan Milosevic and his regime that do justice to the break-up as well. There are some excellent studies of sub-topics or related topics. But there have been few truly groundbreaking studies of the process as a whole. 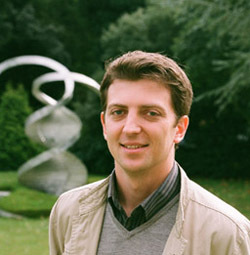 Too many of the older generation of pre-1991 Yugoslav experts had too many of their assumptions shattered by the break-up; too many journalists and casual scholars flooded the market in the 1990s with too many under-researched, third-rate works; too many younger scholars were handicapped by political prejudices that prevented them from addressing the truth squarely. Furthermore, the body of relevant primary sources has been vast and growing exponentially while the body of good supporting secondary literature has only slowly grown to a respectable size. In these circumstances, to write a groundbreaking general study of the break-up of Yugoslavia has been a difficult task that has required both a lot of talent and a lot of patient hard work. 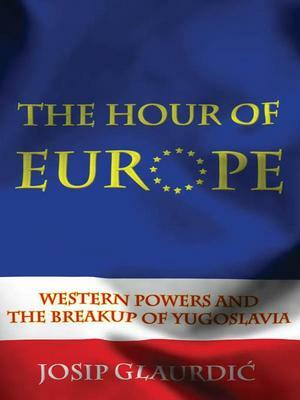 Josip Glaurdic’s The Hour of Europe: Western Powers and the Breakup of Yugoslavia is such a study. As far as general accounts of the break-up go, there are only two or three that rival this work; none that is better. A great strength of this work lies in Glaurdic’s careful balance between the domestic and international dimensions of Yugoslavia’s break-up; he gives equal space to each and shows carefully the interaction between them. As far as the domestic dimension is concerned, he has skilfully summarised and distilled the existing knowledge about the subject as well as anybody before him. But where this book is truly original and groundbreaking is in its analysis of the international dimension. For this is the best serious, comprehensive, scholarly analysis of the role of the West – specifically, of the US, European Community and UN – in the break-up of Yugoslavia. The mainstream literature has tended to present the West’s involvement in the break-up in terms of a reaction after the fact: Yugoslavia collapsed and war broke out due to internal causes, and the West responded with a weak, ineffective and primarily diplomatic intervention. Some excellent studies of the responses of individual Western countries have appeared, most notably by Michael Libal for Germany, Brendan Simms for Britain and Takis Michas for Greece. Apologists for the former regime of Slobodan Milosevic or for the Great Serb nationalist cause have, for their part, churned out innumerable versions of the conspiracy theory whereby the break-up of Yugoslavia was actually caused or even engineered by the West; more precisely by Germany, the Vatican and/or the IMF. But up till now, nobody has attempted to do what Glaurdic has done, let alone done it well. Glaurdic’s innovation is to begin his study of the West’s involvement not in 1991, when full-scale war broke out in the former Yugoslavia, but in 1987, when Milosevic was assuming absolute power in Serbia. This enables him to interpret the West’s reaction to the eventual outbreak of war, not as a reflex to a sudden crisis, but as the result of a long-term policy. He places this long-term policy in the broader context of the evolution of the West’s global considerations in the late 1980s and early 1990s. The most important of these considerations concerned a state incomparably more important than Yugoslavia: the Soviet Union. Yugoslavia’s principal significance for the Western alliance during the Cold War was as a buffer state vis-a-vis the Soviet Union and as a model of an independent, non-Soviet Communist state. These factors became less important in the second half of the 1980s, when Mikhail Gorbachev ruled the Soviet Union and the Cold War was winding down. Milosevic was initially identified by some influential Western observers as a possible ‘Balkan Gorbachev’; a Communist reformer who might bring positive change to Yugoslavia. The most important such observer was the veteran US policymaker Lawrence Eagleburger, who became deputy Secretary of State in January 1989. In his confirmation hearings in the Senate Foreign Relations Committee on 15-16 March 1989, Eagleburger stated that ‘there is no question in my mind that Milosevic is in terms of economics a Western market-oriented fellow… [who] is playing on and using Serbian nationalism, which has been contained for so many years, in part I think as an effort to force the central government to come to grips with some very tough economic problems.’ (Glaurdic, p. 40). This initial US appreciation for Milosevic dovetailed with a more important consideration: the fear that a collapse of Yugoslavia would create a precedent for the Soviet Union, weakening the position of Gorbachev himself. Of decisive importance was not merely that Western and in particular US leaders viewed Gorbachev as a valued friend, but the extreme conservatism of their ideology as regards foreign policy. Simply put, the US administration of George H.W. Bush valued stability above all else, including democratic reform, and actually preferred Communist strongmen, not only in the USSR but also in Poland, Hungary and Czechoslovakia, to the democratic opposition to them. Bush and his team feared the collapse of the Soviet Union and the destabilisation that this threatened – given, among other things, the latter’s nuclear arsenal. This led them to acquiesce readily in Soviet repression in Lithuania, Latvia, Azerbaijan and Georgia. Their acquiescence in Milosevic’s repressive policies was a natural corollary. As Glaurdic shows, this conservative-realist worldview led the Bush Administration, right up till the end of 1991, to champion Yugoslavia’s unity rather than its democratic reform. Though the US gradually lost faith in Milosevic, its animosity in this period was above all directed at the ‘separatist’ regimes in Croatia and Slovenia. The irony was not only that Croatian and Slovenian separatism was a direct response to the aggressive policies of the Milosevic regime, but also that the latter was promoting the break-up of Yugoslavia as a deliberate policy. Through its unwillingness to oppose Milosevic and its hostility to the Croats and Slovenes, Washington in practice encouraged the force that was promoting the very break-up of Yugoslavia that it wished to avoid. The problem was not that the Bush Administration lacked accurate intelligence as to what Milosevic’s regime was doing, but that it chose to disregard this intelligence, instead clinging blindly to its shibboleth of Yugoslav unity, indeed of Yugoslav centralisation. Thus, as Glaurdic shows, a ‘conservative realist’ ideology resulted in a highly unrealistic, dogmatic policy. In October 1990, the CIA warned the US leadership that, while the latter could do little to preserve Yugoslav unity, its statements would be interpreted and exploited by the different sides in the conflict: statements in support of Yugoslav unity would encourage Serbia while those in support of human rights and self-determination would encourage the Slovenes, Croats and Kosovars (Glaurdic, p. 110). The Bush Administration nevertheless continued to stress its support for Yugoslav unity. This meant not only that the West failed to respond to Milosevic’s repressive and aggressive policy, but that Milosevic and his circle actually drew encouragement from the signals they received from the West. Milosevic scarcely kept his policy a secret; at a meeting with Western ambassadors in Belgrade on 16 January 1991, he informed them that he intended to allow Slovenia to secede, and to form instead an enlarged Serbian stage on the ruins of the old Yugoslavia, that would include Serb-inhabited areas of Croatia and Bosnia and that would be established through the use of force if necessary. This brazen announcement provoked US and British complaints, but no change in policy (Glaurdic, pp. 135-136). The problem was not merely ideological rigidity and mistaken analysis on the part of Western and particular US leaders, but also sheer lack of interest. Glaurdic describes the paradoxical Western policy toward the Yugoslav Federal Prime Minister, Ante Markovic, who – unlike Milosevic – really did want to preserve Yugoslavia, and whose programme of economic reform, in principle, offered a way to achieve this. In comparison with the generous financial assistance extended to Poland in 1989-1990, no remotely similar support was offered to Markovic’s government, because in US ambassador Warren Zimmermann’s words, ‘Yugoslavia looked like a loser’. (Glaurdic, p. 68). The US’s dogmatic support for Yugoslav unity was shared by the West European powers. Glaurdic demolishes the myth – already exploded by authors like Libal and Richard Caplan – that Germany supported or encouraged Croatia’s and Slovenia’s secession from Yugoslavia. When the president of the Yugoslav presidency, Janez Drnovsek, visited Bonn on 5 December 1989, German chancellor Helmut Kohl expressed to him his ‘appreciation for Yugoslavia’s irreplaceable role in the stability of the region and the whole of Europe’. On the same occasion, German president Richard von Weizsaecker informed the Yugoslav delegation that he supported a ‘centralised’ Yugoslavia (Glaurdic, p. 59). A year later, on 6 December 1990, German foreign minister Hans-Dietrich Genscher told his Yugoslav counterpart, Budimir Loncar, that Germany ‘has a fundamental interest in the integrity of Yugoslavia’, and consequently would make ‘the Yugoslav republics realise that separatist tendencies are damaging to the whole and very costly’ (Glaurdic, pp. 124-125). This German opposition to Croatian and Slovenian independence continued right up till the latter was actually declared in June 1991, and beyond. According to Gerhard Almer, a German diplomat and Yugoslav specialist at the time, ‘Everything that was happening in Yugoslavia was viewed through Soviet glasses. [Genscher’s] idea was, “Well, Yugoslavia disintegrating is a bad example for Soviet disintegration, and this was bad for us since we needed a Soviet Union capable of action because we needed to get a deal with them on our unity”. This was widely accepted in the ministry.’ (Glaurdic, p. 160). Contrary to the myth of anti-Yugoslav imperialistic tendencies on the part of Helmut Kohl’s Christian Democratic government, the latter’s support for the Yugoslav status quo in the face of Belgrade’s abuses was so rigid that it provoked strong resistance from the Social Democratic opposition. Genscher, subsequently demonised as a supposed architect of Yugoslavia’s break-up, actually resisted this pressure from the Bundestag for a shift in German policy away from unbending support for Yugoslav unity and toward greater emphasis on human rights and self-determination. The turning point for him, as Glaurdic shows, came with his visit to Belgrade on 1 July 1991, after the war in Slovenia had broken out. The combination of the overconfident Milosevic’s aggressive stance in his talk with Genscher, and the Yugoslav government’s inability to halt the Yugoslav People’s Army [JNA] operations against Slovenia, destroyed the German foreign minister’s faith in the Belgrade authorities, leading to his gradual shift in favour of Croatia and Slovenia. Eventually, after a lot more Serbian intransigence and military aggression, Germany would reverse its traditional policy by 180 degrees, and come out in favour of the recognition of Slovenia’s and Croatia’s independence, while the EC would split into pro- and anti-recognition currents of opinion. Nevertheless, as Glaurdic shows, Germany’s change of heart was a double-edged sword, since it aroused the anti-German suspicions and rivalries of other EC states, particularly France and Britain, which consequently hardened their own stances against recognition. On 6 November 1991, while the JNA’s military assaults on the Croatian cities of Vukovar and Dubrovnik were at their peak, Douglas Hogg, the UK’s Minister of State for Foreign and Commonwealth Affairs, explained to the Foreign Affairs Committee of the House of Commons that his government was opposed to the recognition of Croatia since it would create an ‘obstacle’ to territorial adjustments in Serbia’s favour and at Croatia’s expense. Several days later, the French president, Francois Mitterand, made a similar public statement, indicating that he saw Croatia’s existing borders as a ‘problem’ that prevented its recognition (Glaurdic, pp. 253-254). The Bush Administration, meanwhile, acted as a brake on the EC’s shift against Belgrade and in favour of recognition, teaming up with the British and French to counter Germany’s change of policy. US Secretary of State James Baker and his deputy Lawrence Eagleburger, as well as the UN special envoy Cyrus Vance (himself a former US Secretary of State) waged a diplomatic battle in this period against any shift away from the West’s non-recognition policy, and against any singling out of Serbia for blame for the war – even as the JNA was massively escalating its assault on Vukovar in preparation for the town’s final conquest. Eagleburger had signalled to the Yugoslav ambassador in October that, although the US was aware that Milosevic was attempting to establish a Greater Serbia, it would do nothing to stop him except economic sanctions, and even these only after Greater Serbia had been actually established (Glaurdic, pp. 243-246). As late as December 1991, Vance continued to oppose recognition and to support the idea of a federal Yugoslavia, and continued moreover to put his trust in Milosevic, the JNA and Bosnian Serb leader Radovan Karadzic, while viewing the Croatians dismissively as ‘these Croatian insurgents’ (Glaurdic, pp. 264-265). Glaurdic has marshalled an enormous wealth of documentary evidence to show that the British, French and Americans, far from reacting in a weak and decisive manner to a sudden outbreak of war, actually pursued a remarkably steady and consistent policy from before the war began, right up until the eve of full-scale war in Bosnia-Hercegovina: of vocally supporting Yugoslav unity and opposing Croatian and Slovenian secession; of resisting any singling out of Serbia for blame or punishment; of opposing recognition of Slovenia and Croatia; of seeking to appease Milosevic and the JNA by extracting concessions from Croatia as the weaker side; and finally of appeasing the Serb nationalists’ desire to carve up Bosnia. EC sanctions imposed in November 1991 applied to all parts of the former Yugoslavia equally, while there was no freezing of the international assets or financial transactions through which the JNA funded its war. The UN arms embargo, whose imposition had actually been requested by the Yugoslav government itself, favoured the heavily-armed Serbian side and hurt the poorly armed Croatians. Although, largely on account of Germany’s change of heart, the EC at the start of December 1991 belatedly limited its economic sanctions to Serbia and Montenegro alone, the US immediately responded by imposing economic sanctions on the whole of Yugoslavia. According to myth, the Western powers applied the principle of national self-determination in a manner that penalised the Serb nation and privileged the non-Serbs. As Glaurdic shows, the reverse was actually the case. In October 1991, Milosevic rejected the peace plan put forward by the EC’s Lord Carrington, which would have preserved Yugoslavia as a union of sovereign republics with autonomy for national minorities, in part because he feared it implied autonomy for the Albanians of Kosovo and the Muslims in Serbia’s Sanjak region. Carrington consequently modified his plan: Croatia would be denied any military presence whatsoever in the disputed ‘Krajina’ region, despite it being an integral part of Croatia inhabited by many Croats, while Serbia would be given a completely free hand to suppress the Kosovo Albanians and Sanjak Muslims. Carrington’s offer came just after leaders of the latter had organised referendums for increased autonomy, and after the Milosevic regime had responded with concerted police repression (Glaurdic, p. 242). Milosevic nevertheless continued to reject the Carrington Plan in the understandable belief that the West would eventually offer him a better deal. He consequently asked Carrington to request from the EC’s Arbitration Commission, headed by Robert Badinter, an answer to the questions of whether the Serbs in Croatia and Bosnia possessed the right to self-determination, and of whether Serbia’s borders with Croatia and Bosnia should be considered borders under international law. Carrington submitted these to the Commission, along with a third question, of whether the situation in Yugoslavia was a case of secession by Slovenia and Croatia or a case of dissolution of the common state. That the Arbitration Commission ruled against Serbia on all three counts was, in Glaurdic’s words, a ‘terrible surprise for Milosevic and for many in the international community’ (p. 260), given that Badinter was a close associate of President Mitterand, whose sympathies were with Serbia’s case. The Badinter Commission’s ruling dismayed both Carrington and French foreign minister Roland Dumas, and paved the way to international recognition of Croatia and Slovenia. But it did not fundamentally change the West’s policy. Glaurdic’s account ends with the outbreak of the war in Bosnia, which as he argues, should be seen as the logical culmination of this policy. The failure of the EC foreign ministers to recognise Bosnia’s independence in January 1992 along with Croatia’s and Slovenia’s was, in Glaurdic’s words, ‘the decision with the most detrimental long-term consequences, all of which were clearly foreseeable… The EC had missed a great chance to preempt a war that would soon make the war in Croatia pale in comparison. Of all the mistakes the European Community had made regarding the recognition of the Yugoslav republics, this one was probably the most tragic.’ (pp. 281-282). Recognition of Bosnia at this time would have upset Milosevic’s and Karadzic’s plans for destroying that republic; instead, they were given every indication that the West would acquiesce in them. Thus, on 21-22 February 1992, Bosnia’s politicians were presented with the first draft of the plan of the EC’s Jose Cutileiro for the three-way partition of Bosnia-Hercegovina into loosely linked Serb, Croat and Muslim entities. Since the plan, based on the ethnic majorities in Bosnian municipalities, offered the Bosnian Serb nationalists ‘only’ 43.8% of Bosnian territory instead of the 66% they sought, the latter’s assembly unanimously rejected it on 11 March. Once again, the EC abandoned universal standards in order to accommodate Serb intransigence, and Cutileiro modified his plan so that the three constituent Bosnian entities ‘would be based on national principles and would be taking into account economic, geographic and other criteria’ (Glaurdic, p. 294), thereby opening the way for a Serb entity with a larger share of Bosnian territory than was justified on demographic grounds. In these circumstances, the West’s belated recognition of Bosnia’s independence in April 1992 was naturally not taken seriously by the Serb leaders; Milosevic rather wittily compared it to the Roman emperor Caligula declaring his horse to be a senator (Glaurdic, p. 298). My principal regret is that Glaurdic did not fully apply the logic of his iconoclastic analysis to his consideration of the Croatian dimension of the Yugoslav tragedy. He carefully and correctly highlights the retrograde nationalist ideology of Croatian president Franjo Tudjman, including his equivocal statements about the Nazi-puppet Croatian regime of World War II and his promotion of the partition of Bosnia-Hercegovina. Yet he does not properly stress the extent to which Tudjman’s repeated retreats in the face of Serbian aggression merely encouraged the latter, just as did the similar retreats of the Western leaders. Thus, Tudjman capitulated to the JNA’s bullying in January 1991 and agreed to demobilise Croatia’s reservists and arrest Croatian officials involved in arms procurement, including the Croatian defence minister Martin Spegelj himself. Glaurdic argues that this ‘defused the [JNA] generals’ plan for a takeover’ and brought Yugoslavia ‘back from the brink’ (p. 134), but it would be more accurate to say that such Croatian appeasement merely encouraged further Serbian assaults, and that the killing in Croatia began only weeks later. Glaurdic has carefully described the Milosevic regime’s secessionism vis-a-vis the Yugoslav federation, but one significant detail omitted from his book is the promulgation on 28 September 1990 of Serbia’s new constitution, which stated that ‘The Republic of Serbia determines and guarantees: 1 the sovereignty, independence and territorial integrity of the Republic of Serbia and its international position and relations with other states and international organisations;…’. In other words, Serbia declared itself a sovereign and independent state before either Croatia or Bosnia did. This is relevant when evaluating not only the Milosevic regime’s hypocrisy regarding ‘separatism’, but the extent of the West’s policy failure. Milosevic posed as Yugoslavia’s defender while he deliberately destroyed it. Western leaders were hoodwinked: they sought both to uphold Yugoslavia’s unity and to appease Milosevic’s Serbia. As Glaurdic has brilliantly demonstrated, their dogged pursuit of the second of these policies ensured the failure of the first. Readers are invited to watch the above video, and see if you can tell in which city it was filmed. Here’s a clue: it’s not a city where a taxi driver is likely to say ‘mamma mia’. I bring this up by way of an introduction. A minor nationalist tantrum recently erupted in Italy after former Croatian President Stjepan Mesic was invited to attend the opening of a museum, dedicated to the famous medieval explorer Marco Polo, in the Chinese city of Yangzhou. At the ceremony, Mesic was quoted as describing Marco Polo as a ‘Croatian-born world traveller who opened China to Europe’. Polo was, according to some (disputed) accounts, born on the Dalmatian island of Korcula, which was populated by Croats, in the town of the same name. The island was possessed by various different medieval states and rulers, including Croatia, but was ultimately conquered, along with other Dalmatian territories, by the Venetians, who ruled it for hundreds of years until the Venetian Republic was destroyed in the French Revolutionary Wars at the end of the nineteenth century. It should not need stating – again – that modern national identities cannot simply be projected back only ancient or medieval territories or individuals. That the actual identities of ancient and medieval – and indeed modern – territories were complex, nuanced and multifaceted. That modern nations have ethnically and culturally diverse roots; roots that should be celebrated, not denied in the name of crude nationalist models of homogeneity. Just look at the ethnic range of individuals who play a key part in English and British national history: the Norman-French William the Conqueror; the Dutch William of Orange; the Irish Duke of Wellington; the half-American Winston Churchill; and so on and so forth. The British royal family was originally German; its name was change from ‘Saxe-Coburg and Gotha’ to ‘Windsor’ in 1917. Think of the diverse ethnic backgrounds of leading British politicians today: Labour leader Ed Miliband (Polish Jewish); Liberal Democrat leader Nick Clegg (Dutch, Russian); London mayor Boris Johnson (Turkish); former Conservative leader Michael Howard (Romanian Jewish); former British foreign secretary Malcolm Rifkind (Lithuanian Jewish) – and that list is, of course, both incomplete and itself an oversimplification. Etc. etc. etc. Arguments between nationalists over the possession of ancient or medieval historical figures of the ‘He’s ours ! No, he’s ours !’ variety have all the seriousness of primary school children fighting over possession of a particular lego brick or action man. But as with children’s toys, so with ancient and medieval historical figures, the best policy is to share. So the Duke of Wellington belongs to both Britain and Ireland; Charlemagne belongs to both France and Germany; Alexander the Great belongs to Greece, the Republic of Macedonia, Albania and others; Mother Theresa belongs to India, Albania and Macedonia; and so on. 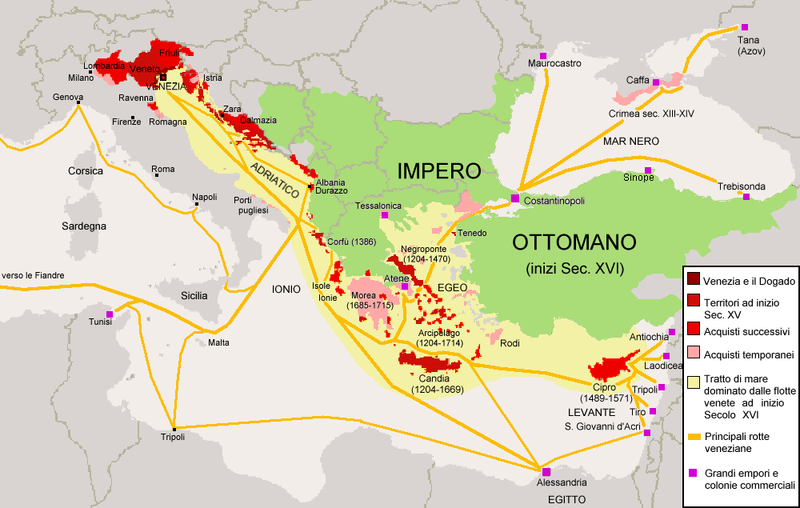 Marco Polo, or Marko Polo, likewise belongs to both Italy and Croatia. The origins of his family are disputed, but I have never seen any evidence that he identified himself as either Italian or Croatian by nationality. The Venetian Republic of Marco Polo’s time was not an Italian national state; it ruled a far-flung multinational empire that stretched at times all the way into the Black Sea and Eastern Mediterranean – for example, Cyprus was under Venetian rule for nearly a century, and the Venetian influence can be seen prominently in the walls that surround the old town in Nicosia, still known as the ‘Venetian walls’. Of course, Venetian rule in Korcula and other Dalmatian and Istrian territories was the rule of a colonial master, but that is no reason for Croats today to deny the strong Venetian influence on their culture – any more than Indians and Pakistanis should stop loving cricket; a sport bequeathed to them by British imperialism. Any more than Italians should deny the influence on their own culture of those who occupied parts of Italy over the course of hundreds of years: Normans, Arabs, Spanish, French, Austrians and others helped to shape the Italian nation that we have today. Any more than Croats should deny the influence on their culture of Serbs, Hungarians, Austrians and others. Culture doesn’t divide neatly along national lines. The question arises, therefore, of why a supposedly respectable Italian newspaper should throw its rattle out of its pram just because a Croatian rather than an Italian politician was invited to attend the inauguration of a museum in China dedicated to Marco Polo. This may be put down in part to the legacy of Italian irredentism, and of the trauma of its defeat, with regard to the Croatian (and Slovene) Mediterranean coastal territories, following attempts to conquer them in both World War I and, under Mussolini and the Fascists, in World War II. Despite the enormous brutality inflicted by Fascist Italy on the inhabitants of these territories, the Italian attempt was ultimately defeated almost completely. By 1945, the Yugoslav Partisans had liberated all South-Slav-inhabited territories that had been annexed by Italy since 1918. So far as the Croat inhabitants of Dalmatia and other Croatian coastal territories were concerned, the Partisan struggle was above all a Croatian war of national liberation from the traditional Italian enemy. Apart from the great port of Trieste (which would have gone to Slovenia had the Western Allies not insisted it be returned to Italy), the Yugoslavs were, thanks to their military victory, able to keep all these territories after the war, so Dalmatia and most of Istria were reunited with Croatia, while the rest of Istria and other Slovene-inhabited territories were reunited with Slovenia. Although the lands in question had overwhelming ethnic-Croat and ethnic-Slovene majorities, yet nationalistic Italians – not just Fascists – experienced this as a grievous loss of Italian national territory – particularly as regards Istria and the port of Rijeka, which had been annexed by Italy between 1918 and 1924. Italian resentment was undoubtedly exacerbated by the killings and expulsions of ethnic Italians in the territories in question by the victorious Partisans and the confiscations of their property, yet there is no equivalent degree of enduring German nationalist bitterness against Poland and the Czech Republic, where the post-war ethnic cleansing of Germans occurred on an incomparably larger scale. Italian nationalists simply disregard the actual ethnic composition of the terriories and the history of Italian Fascist expansion there, and view them through the prism of Italian victimhood and loss. Hardly surprising, therefore, that an Italian insistence that Marco Polo be considered Italian should slip effortlessly into an angry restatement of the traditional nationalist claim of coastal Croatia’s ‘Italian’ character. Which brings us back to the advert at the start of this post. The Italians and Dalmatian Croats are close to one another in their culture and heritage; close enough that a Croatian city can plausibly be passed off as Italian-speaking in an advert for an international audience; and close enough also for many Italians not to appreciate the distinction. But the Dalmatian view is different. In Marco Polo’s alleged birthplace of Korcula town, a Partisan war-memorial depicts a Partisan with a sword slaughtering a Venetian lion. A peculiar product, it could be said, of a cultural symbiosis between two neighbouring peoples that stretches back to the time of Marco Polo and beyond, and of which the famous explorer may himself have been a product. The EU has warned Poland that a negotiated and mutually acceptable solution to its dispute with the neighbouring state of Nazi Germany must be reached before it can start accession talks. Adolf Hitler, Fuehrer of the Third Reich, has made it clear that Berlin will veto Polish membership of the EU unless Poland agrees to cede to Germany the so-called ‘Polish Corridor’, change its name to the ‘General Government’ and place its Jewish population in ghettoes. Berlin fears that if Poland were to join the EU before a settlement to the border dispute were reached, it would prejudice the outcome for Germany. ‘The Reich has reservations concerning seven (EU accession) chapters, since the documents presented by Poland could prejudge the common border’, the Fuehrer told journalists. Berlin also opposes Poland’s use of the name ‘Poland’, claiming it implies a territorial claim to German territories in Prussia, which were once part of medieval Poland. ‘Our demand that Warsaw resolve the name dispute is backed by NATO and the United Nations. It is not true that we are stubbornly rejecting a compromise or reacting sentimentally. But a compromise is important to the security and stability of the region’, Joachim von Ribbentrop, the Reich Foreign Minister, said in a recent interview. Neville Chamberlain, Prime Minister of the United Kingdom, which currently holds the EU Presidency, has admitted that Poland might face hurdles in beginning accession talks. ‘There are some conditions that need to be met which are not completely in the remit of the EU institutions’, Mr Chamberlain said. Diplomats say Poland’s EU bid is also weighed down by slow reforms of the judiciary, public administration and economy and the lack of concrete results in the fight against corruption and crime. ‘Maintaining good neighbourly relations, including a negotiated and mutually acceptable solution on the border and name issues, remains essential,’ said a draft final statement from a meeting of EU leaders. The Fuehrer nevertheless made clear that serious efforts were being undertaken to find a solution for Poland’s EU negotiation documents that would dispel any concerns about the Reich trying to prejudge the border and name disputes. ‘If such a solution is found – and Germany together with the British presidency is striving for this – then the Thousand Year Reich will probably not see any obstacles or problems in supporting a continuation of negotiations between Poland and the EU’, Mr Hitler explained following a meeting with European Commission President Jose Manuel Barroso.